Protecting business data is critical to maintain competitive edge and comply with industry regulations. With more mobile workers reliant on laptops, full disk encryption is now a must-have security technology. However some organisations who could benefit greatly have not taken advantage of this fundamental form of data protection. 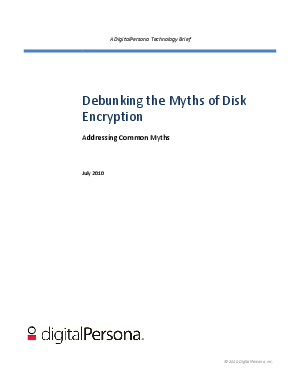 This whitepaper examines the common misconceptions about full disk encryption.